After watching the clip of construction workers protesting about the bosses' refusal to employ local labour, no doubt some will write these workers off as "racist morons". But as far as I'm concerned this underlines the need for the left to be involved, or would it be better that chauvinist ideas are left to fester unhindered? Background to the protest can be read here and here. There's an interesting report and discussion at Socialist Unity too. The second session in the Socialist Party's West Midlands regional conference dealt with building our party into an effective weapon for our class. The lead off here fell to G, the full timer responsible for our region. He opened with noting how 2009 has proven a very busy year for the party. Branches have hit the ground running after the Christmas break, responding to picket lines, protests, occupations and demonstrations, all signifying a massive upswing in activity by pissed off workers and students. This doesn't necessarily mean socialist ideas will appear attractive from the off, especially as the neoliberal boom and collapse of Stalinism continue to exert an ideological hangover - but when workers enter into struggles in large numbers that is the best environment for the party's growth. It cannot be denied that the boom years were difficult for socialists in general and the SP in particular. It was a struggle to hold the organisation together when the entire labour movement was in retreat and struggles were relatively few and far between. But even then the party remained rooted in the working class and proved capable of winning first-past-the-post council elections. But the challenge for our members now is to adapt, of shaking off some of the habits of the slow period and be ready to make the most of new political opportunities. There are now grounds to be more optimistic about recruiting to the party but here, G thought, there is room for us to be bolder. Getting more people into the party requires more energy and more time being set aside for chasing up contacts for discussions, and it needs to be the collective responsibility of all branches and not just a few grizzled recruiting veterans. Likewise it is everyone's task to strive to develop rounded out self-organising activists through more educationals, developing campaigning skills, hosting more cadre schools and increase guest visits to other branches, because if the experience of the Lindsey oil refinery strike tells us one thing, it's that a single member can make a very significant difference. G also set out new subscription targets for The Socialist and a new figure for our monthly members' subs. In the discussion a Birmingham comrade told how the branch had been transformed by its development of youth work, which has enabled it to build at all of the city's universities, hold a regular series of public meetings and crucially make interventions into the local car industry. A comrade from Shropshire outlined the difficulties of operating in one of England's largest inland counties, especially when members are scattered right across it but has found that regular contact and a programme of common activity - here around public meetings and the CNWP - have helped cement the organisation and attract a steady stream of recruits. A Stoke comrade spoke about our branch activities around Gaza in conjunction with Keele Socialist Students and how the Youth Fight for Jobs campaign has hit a nerve among workers of all ages on our regular street stalls. Another Potteries comrade discussed our local success in producing cadres, but who've had the unfortunate tendency to end up leaving Stoke and doing the business for other branches. He also allowed himself a moment to hark back to the 80s when Militant had 13 full timers in the West Midlands alone, before stressing the need to increase the circulation of our paper. After a few more contributions Peter Taaffe quickly came in to say he will be pleased to report back our region's progress to the national office. Echoing earlier speakers he thought the movement against Israeli aggression in Gaza was extremely significant because students tend to be a barometer - he likened them to the light cavalry who move into action before the heavy battalions of the working class. Wrapping the session up G paid tribute to comrades who have recently passed away before outlining additional tasks. He argued we have a special responsibility to ensure we win over women, BME and LGBT workers and make sure the party not only welcomes them but facilitates their development into the cadres of tomorrow - if the party is to be a rounded-out organisation it cannot be otherwise. But in conclusion he thought we can be proud of what we have achieved, which is a solid foundation to build the effective socialist combat party the situation demands. After ending the meeting in the traditional way (with the proper lyrics, of course) comrades repaired to the bar for another kind of socialist party. Ever since becoming a party member I have attended many West Midlands educationals and aggregates, but what I found particularly heartening were the large numbers of new faces in the audience and the fact new branches are being founded and refounded. The Socialist Party is a left force whose time has come again. If you're not a member now you ought to think seriously about getting involved. Last Saturday the Socialist Party in the West Midlands held its first regional conference for very many years, reflecting our success in rebuilding the party. Members from right across the region gathered to discuss our position in the labour movement, our areas of work, strategic priorities, and elect our first properly constituted regional committee since the days of Militant. But the first part of the day was given over to a discussion of the new political period and was led off by our visiting speaker, SP general secretary Peter Taaffe. He began with the observation that no one in the party has seen a crisis like the one we're living through and so in many ways we are in uncharted waters. But two things we can be sure of are there will be no quick fix to end it, and that it doesn't sound the death knell of capitalism - that will only come when the working class takes power and begins building a socialist society. For Taaffe the crisis also confirmed the arguments and perspectives of the party in the recent pass. But this brings us no joy because it is our class who are already bearing the brunt of the crisis, and especially so in the West Midlands. Here one in five are employed by the car industry, directly and indirectly. The price exacted by the downturn here is the loss of approximately 1,000 jobs a day and a 60 per cent drop in car production in the last month. What is unique about the crisis is the speed of its spread. In the great depression it took a couple of years for the Wall Street crash to work its way properly through to Western Europe. But deregulated capital plus instantaneous communication has brought home the changed circumstances almost overnight to every corner of the globe. The contagion that began in the finance sector infected the real economy without pausing, effectively leaving economies awash with commodities without purchasers. But more problematic is not the obscenity of general surplus at the time of general want, but rather the "overproduction" of workers and the middle class. Just as the system no longer requires the services of masses of skilled, semi-skilled and unskilled labour, so it will not spare the lawyers, surveyors, architects, consultants, and so on. Therefore even at this stage, which is still the early days of the crisis, the recession is impacting on vast numbers drawn from a variety of layers. Among the ruling class there is a palpable sense of unease. In Britain it looks increasingly like the government are running out of options to the point that printing money, now euphemistically termed "quantitative easing" is being considered as a means of jump starting inflation to avoid a deflationary spiral. Amazingly this measure, which will cut into the ability to buy back the goods, is likely to worsen the underconsumptionist tendencies responsible for the credit crunch in the first place. Regards the working class in Britain it is unfortunate that our class has never entered a generalised crisis like this so politically disarmed. The gap between what is happening and consciousness has never been wider, and it falls to socialists to close that gap. There is pent up rage and anger out among our class but the traditional means of expressing it positively have shriveled up. Some still have illusions in the market to fix things, some are in denial, others have battened down the hatches and hope to ride the crisis out, but a minority are aware of what it means. This is the context our party must intervene in and seek to address all these layers. 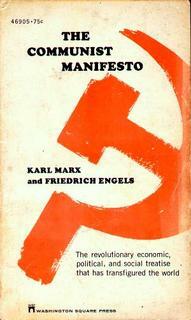 Coming to a conclusion, the comrade remarked that capitalism is in a new era. Whatever happens the system will be more regulated. There will be more planning and state intervention in the economy, and will likely to continue to be the case when the crisis is passed and a new phase of growth begins. But this era is also a new one for socialist politics and offers us new opportunities for getting our message across. For example, demands around opening the books, increasing wages to stimulate demand, socialisation (i.e. nationalisation + democratisation) will resonate more now than has previously been the case. But the SP must build urgently - the actions in Iceland, Ireland, Greece, Eastern Europe and Guadeloupe, and the wildcat strikes here are harbingers of what is to come. Opening to the floor, one Birmingham comrade told us about the job centre she works in. Numbers claiming Job Seekers' Allowance at her office have jumped 11,500 since last January. 500 more people are coming onto the benefit than leaving it and only a handful every week are contacting the office to say they have secured a job. There's also a clear bias in new jobs toward part time work. For example, her local Woolworths has reopened as a Poundland - but every single vacancy is part time. Despite that, there were 40 applicants for each job. Likewise when a Tesco Express opened nearby creating 12 part time posts, there were 300 applications. There are also stories of firms charging prospective employees to follow up their references. If there is one positive from all this misery, it is that Daily Mail readers coming into the job centre for the first are shocked to see the office is not the profligate paradise the paper paints it. A Coventry comrade pointed to the bourgeois press and their "rediscovery" of Marx, which for him was evidence of how rattled they are. In his workplace he too is coming across more people verging on home repossession. Cases of workers who were formerly on £1,500-£2,000/month dropping down to just £400 are increasingly common. For organised workers their first port of call for guidance might be their union, but generally speaking there's very little leadership from this quarter. Unison for example have launched a 'stand up for local government' campaign - but this is not about defending members jobs now, but fending off the further attacks we can expect from the Tories! Discussing the much vaunted apprenticeship scheme, another Brum branch stalwart mocked BT's declared intent to take on 300 apprentices by pointing out that when he started at the firm 31 years previous, they took on that many in London alone. A further difference between the 30s depression and today is that then there were real left political alternatives available. But now, with the burial of reformist ideas by New Labour, we're in a position where we can counter pose our socialist ideas directly to those of our masters. A Stoke comrade noted the stunning effect the recession has had on layers of workers but also how quickly consciousness can change. The protests against Israel's war on Gaza, for example, acted as a lightning rod of discontent. Also the wildcat strikes demonstrate how quickly class anger can erupt. Another Cov comrade highlighted the cheek of the Tories criticising Labour for giving bankers a free hand - this coming from the party that deregulated the City! A former ward CLP chair said we should not underestimate the impact on mental health and the pressure it will put on GP services and health care institutions. Even before the downturn provisions were woefully inadequate. Rob Windsor, Coventry SP councillor said there had been a 30 per cent rise in people seeking help from the city's social services department. There are now 18 people sleeping rough in the town centre, up from three or four this time last year. The queue for council housing - now standing at 20,000 - is aggravated by a chronic shortage, thanks mainly to the council previously demolishing a lot of its public housing stock. Another comrade, who works for a housing association, said the numbers of people turning up and breaking down has become all too common. But also the association is being approached by developers desperate to get rid of their unsold stock - it turns out that not only are many of them unsuitable (because they were slung up quick to make fast money at the height of the boom) but also some are having to pay security firms to guard the properties to prevent fittings from being stolen! Replying to these and other points made in the discussion he said that housing is a crucial issue right now and will become even more explosive as the recession persists. With an estimated half a million homes standing idle occupations similar to the actions of the pre and post-war squatters' movement are increasingly likely. He also noted that despite the capitalists and their governments being worried about spiralling state spending, plenty of real money remains in tax havens. Here the rich and super rich have salted away an estimated $11.5 trillion. And lastly, he called for all members to build on the work of key Marxist thinkers and leaders to prepare ourselves for the challenge confronting us. In all the discussion demonstrated an appreciation of the changed political circumstances (see British Perspectives 2009 for more) of our work as well as our determination to do our best to steer the course of class struggle in a positive direction. The particular nuts and bolts of this were dealt in the organisational session of the conference and will be discussed in the next post. From 1887 to 1990 Cliff Vale pottery (pictured) churned out ceramics for Twyfords. But having outlived its usefulness this grand Victorian building was abandoned to the rats and the junkies. Fast forward 15 years work began on the site at the height of the housing bubble. As the pottery complex is situated right next to the Trent and Mersey canal with views over the well-tended Hanley cemetery, Lock 38 was going to be as des-res as it gets in Stoke-on-Trent. The developers certainly thought so. When their flats came on to the market in late 06/early 07 the one bedroom properties began at £99,000. But what a difference an economic downturn can make. When the arse fell out of the market the prices were slashed to £59,000 for first time buyers, with a sweetener that the developer will pay the mortgage for a year. That's quite reasonable given the silly price they started off at. But then as I sailed past them on Saturday morning I noticed they had been dropped again, to £35k! And now, looking at the development's website, I see they're advertised to FTBs at £30,000!! Talk about spiraling negative equity for the poor buggers who bought at the height of the boom! If I had a spare £30 grand and was an unscrupulous buy-to-let landlord type I may well be tempted. But are the prices likely to go down further? What's the state of the rental market? According to the government's communities website, the numbers applying for statutory homeless status (defined as households facing an imminent loss of their home, or individuals and families who sleep rough) have been falling since the second quarter of 2005 to the latest data, which covers the third quarter of 2008. With repossessions rising and an economic nightmare threatening to throw hundreds of thousands more out of work, it is reasonable to expect the overall downward trend will be arrested and reversed. Thousands will experience the misery of homelessness. And yet tens of thousands of empty properties like those of Lock 38 exist for which buyers cannot be found. If throwing people out of their homes while there is a glut of available housing isn't a damning indictment of the capitalist system, I don't know what is. I don't know what the the advantages of awarding honorary degrees, but I'm glad Keele granted one to radical film maker Ken Loach on Friday because it meant he did an open Q&A afterwards. And luckily I was there with notebook and pen at the ready. As you can imagine he spent an hour answering pretty much everything that could be asked, so these are very much the edited highlights. The first questioner asked about his approach to casting and whether using "normal" people as opposed to professionals ever caused him problems? Loach replied that the bottom line has to be credibility - actors must be convincing in a particular role. As far as he was concerned if this is your aim you cannot have a working class woman played by the likes of Julia Roberts. This means a very long casting process as Loach typically sees people seven or eight times before making a decision. But by the end of it they have been "professionalised" by the process and are no greater risk than any other actor. The next question moved to his famous forum scenes, such as the debates in Land and Freedom and The Wind that Shook the Barley. Loach set out to bring the critical issues of the Spanish civil war out into the open, particularly the struggle between the Stalinists and mainstream republicans who wanted to prioritise the military struggle against Franco and leave the social revolution until afterwards versus the position of other lefts that saw the revolution and the war against the fascists as interrelated processes. A similar intent lay behind the production of Wind, which is an interpretation of the Irish struggle for independence as a revolution. Here for Loach the movement was particularly difficult for the British ruling class because in their eyes Ireland was a home nation, a core component of the Empire, and not a colony. Loach confessed to stretching history "a bit" to include discussion of Connolly's republican socialism, and also showed how imperialism can accommodate an independence movement. In his opinion the struggle more or less changed the flag because it fell under bourgeois hegemony and so, post-independence, it was business as usual as far as British capitalism was then concerned. Turning to the state of cinema Loach said it could be the same as any other medium and should be as varied as imagination. But it is thoroughly commodified and exclusionary. Because of Hollywood's dominance, US films and US-funded films are produced with the American market in mind. 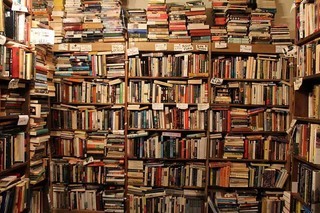 As a result its output tends to resemble more a store full of airport novels than a public library. To illustrate this dominance in the UK, Loach's previous film, It's a Free World sold around 40 copies to British cinemas. But across the channel where Hollywood's grip is far less secure, French cinemas purchased 370 copies. Loach also gave us a quick preview of Looking for Eric, which is due out this summer. It follows the descent into depression by Eric, a Man Utd-obsessed postman. Then one night he smokes a spliff and Eric Cantona appears and starts giving him advice. Kitchen sink meets magical realism? Lastly it wouldn't be complete if Loach wasn't asked about his politics. Given the current situation, he was asked if he thought revolution was back on the agenda. His answer took us back to the late 60s. Then, Loach said, it felt as though it was around the corner or a couple of years away at the most. But now, while that hope is gone our situation is approaching something of an end game. Not because capitalism looks like it's about to be swept away, but due to the environmental crisis. In his opinion the planet cannot sustain a system premised on endless, reckless economic growth, and the idea 'the beast' could behave responsibly defies belief. So what happens next? His answer to the mainly young audience was simply "over to you". It's been some years since I last stood in front of a class, but times are hard and the funding's long since dried up, so needs must. But what better course for a Marxist to teach than an introduction to political sociology that also requires the students read and engage with a bit of Marx? This is how I've spent a few hours these last couple of Thursdays. For my classes I set the Communist Manifesto as their reading, and much to my delight, most of them appeared to have read it. So, how did it go? Does class still matter? How does Marx define it? Is there a struggle between the classes? What is "special" about the working class? Why, for Marx, is capitalism the best and the worst thing to have happened to the human race? "The executive of the modern state is but a committee for managing the common affairs of the whole bourgeoisie". What does Marx mean by this? Do you agree? Is the spectre of communism abroad once again? What did Marx mean by the abolition of private property? Do communists want to nationalise your telly? The discussions also ranged over the materialist conception of history, the theory of surplus labour and surplus value, social mobility, whether we're all middle class now and the class location of David Beckham and Wayne Rooney. Next time it will be Max Weber and the origins of capitalism. That's a recipe for a less passionate and wide-ranging a lesson but still, it could prove to be interesting. Stoke-on-Trent is, to use Nick Griffin's own words, the "jewel in the BNP's crown". At present they have nine councillors and hope to use this year's European elections as a springboard for a serious challenge in Stoke Central in the upcoming general election and as a base to gain more seats at next year's council elections. The North Staffs Campaign Against Racism and Fascism aims to stop them. The conference advertised below will explore how we're going to do it. How do we ensure that Far-Right political movements don’t thrive in the “Credit Crunch”? What can we do to counter apathy and disillusionment among voters? How can we promote understanding, trust and co-operation between communities? (sponsored by the New Vic Theatre). BMW management at Cowley should feel lucky they were pelted only with fruit when they sacked 850 agency workers with just one hour's notice this morning. Angry staff could easily have taken tools and car components to them instead. New Labour seem genuinely proud that workers in Britain are among the easiest to hire and fire in the EU, and staff employed through job agencies are easier still. These workers do qualify for the minimum wage and are covered by workplace health and safety and anti-discrimination legislation. But that's your lot. Agency workers cannot claim unfair dismissal nor are they entitled to redundancy or notice of termination. In effect, they are second class workers. The callous scenes at Cowley are unlikely to be a one off. According to the BBC, 1.4 million people are employed by agencies in the UK. Thats an awful lot of workers bosses can quickly dump with a minimum of fuss. Just goes to show what's good for business is often crap for workers. Sort-of-related plug: A collection of Socialist Party articles on the car industry here. Edited to add: It was actually the local union representatives who earned the ire of the workers. According to C4 news, Unite knew about the job losses before Christmas, but BMW had asked them to keep mum. Small wonder one interviewed worker said the union was in management's pocket. Who can blame her if she doesn't sign up to a union in the future? At the start of the year I committed myself to promote collegiality and comradely relations between the scattered representatives of far left blogging. A current discussion has reminded me of this pledge. After all, Iain Dale does it and manages to steer a chunk of his audience to other Tory blogs (but to be fair, his 'Daley Dozen' often features liberal and centre left commentators - including on occasion serious wrong 'uns like Socialist Unity, Dave's Part and yours truly). So why can't we? So in what I hope will be a semi-regular feature I'll be rounding up the new(ish) blogs on the left wing blogging block and plugging a couple more that have been around for a while but might not have had a wide circulation. Anglo-Buddhist Combine - "MATT SELLWOOD - I am a 26 year old, living in Catford and working at Friends of the Earth. In a past life I lived in Oxford and was a Green Party city councillor. Now I spend my time helping Friends of the Earth local groups pursue effective activism, learning kung fu, and thinking about the world in general." Archive Fever - "Essay archive for radicals and so on". Armchair Socialist - "In between meetings, marches and gainful employment the Armchair Socialist indulges in all manner of amateur social, cultural and political commentary from a variety of Glasgow pubs and despite in an inexplicable lack of public demand, selected extracts will now be available via the wonder of t'internet. I should add that all views expressed are entirely my own and also confess that I do not in fact own an armchair." Directionless Bones - "This is DirectionlessBones, the blog of Alderson Warm-Fork, an unreliable but enthusiastic cleromancer - one who divines hidden truths from observing the directions in which bones fall. All the views promoted herein derive from a small bag of grubby brittle bones, and no other source. These bones, judging from the readings so far, appear to hold a position that is anarchist, communist, feminist, and animal-rights-ist." Excuse Me Whilst I Step Outside - "This blog is going to an act of remembering, and wondering about the future by a middle aged, ex-working class, long ago political activist of the Left." Marxist TEFL Group - "Here in the Marxist TEFL (teaching English as a foreign language) group we believe English, in itself, is not imperialism and that learning another language can and should be an option for all. Not surprisingly, however, as the dominant ideas in every epoch are the dominant ideas of the ruling class, TEFL has become an instrument of subjugation and inequality. A justification for class society and imperial conquest. Here in our small marxist current we want to defend this simple proposition, give heart to socialists working in the industry or taking classes." Michael Calderbank - "Michael Calderbank ...thinks we must thoroughly reassess socialist strategy, and strive to build an effective and inclusive movement of the Left both in Britain and internationally. We must learn to do politics differently, to be as imaginative, resourceful and creative as capital itself would seem to be. Activists from different progressive political traditions must come together to build a new hegemonic bloc that draws on the experience of the environmental, anti-globalization and women’s movements." Missives from Marx - "Missives from Marx is written by an Assistant Professor of Religious Studies and features commentary on religion, ideology, and the academic study and teaching of religion." Safe Space - A SSP blog offering commentary on key and not-so-key political events. Tendance Coatesy - "This is a Critical Marxist Blog. News and comments from a Militant Secularist Ipswich Allotment Holder. Activism, theory, and the left, with a particular focus on French politics and European culture. " VULGAR Marxism - Marxist politics, freedom for Palestine, Bristol, and Australian sporting news - a dangerous mix if there ever was one! JourneyManBlog - One of the few Socialist Party bloggers out there, it is a journey into "Socialism, History, Martial Arts, Motorscycles, Life and Other Stuff". Infantile and Disorderly - Revolutionary blogging from a Manchester-based member of Permanent Revolution. If you know of new socialist blogs (they don't necessarily have to be British-based), please let me know and I'll feature them in the next round-up. One last thing. The Carnival of Socialism is back again, showcasing the best commentary leftyblogland has to offer. Read it and support it by signing your blog up for a future carnival! Socialists - proper socialists that is - cannot get comfortable with markets. Unlike Peter Mandelson, socialists are definitely not relaxed about people getting filthy rich. Capitalism is tremendously wasteful, inefficient, exploitative, chaotic, divisive and unjust. So yes, unlike the establishment, we socialists take a pretty dim view of business. Therefore on Wednesday when I attended a presentation on "social enterprise" - an idea that counts Gordon Brown and David Cameron among its fans - it was with a generous dollop of cynicism. My sceptical countenance wasn't helped by the blurb that went round on the email before hand. Our speaker was social enterprise guru, Geoff Cox, who lists among his achievements consultation work over the contracting out of NHS services. So, hopes were not very high. But pleasingly what followed was more interesting and thought-provoking than I expected, and it got me thinking about what it means for socialist politics. The presentation proper began with a definition of what 'social enterprise' means. It is not the same as corprorate responsibility. This for Cox is a bolt-on extra to the basic business operation and is often designed to legitimate or gloss over commercial activities. Social enterprises on the other hand start out with a social justice objective and build a business to meet that goal. Organisations of this type, for Cox, include Jamie Oliver's restaurants, Cafe Direct, and the Eden Project - you could also include outfits like radical bookshops and the printing presses developed by left groups too. For Cox there are a number of reasons why social enterprises have grown in recent years and are likely to remain a permanent feature of the economic landscape. He started off with the ideological effects of the collapse of bureaucratically planned economies in Eastern Europe and the USSR, which opened the floodgates for market fundamentalism. In the Global South state-led developmental economics quickly fell out of favour and neoliberalism took root (in many cases, this "fashion" was foisted on countries by the IMF and World Bank). In the West it combined with existing cuts in social provision and undermined the legitimacy of the welfare state itself. In a political climate where the state was seen as a cure marginally less deadly than the illness, policy makers and entrepreneurs began to wonder if the market could be harnessed to realise welfarist objectives. Second, Marx's analysis and critique of commodity fetishism identifies how capitalism renders relations between people as relations between things, and captures the essence of the experience of modern consumerism. For example when we go shopping in a supermarket, we are confronted with an array of colourfully labelled and branded jars and packets - to the buyer they are simply objects to be purchased and consumed. But for Cox this experience is increasingly at odds with the contemporary zeitgeist. We live in a society whose media is dominated by "human interest" - whether waxing about the lives of no-mark celebrities or thundering against the immorality of the dangerous classes - it is a discursive problematic that permeates the social fabric. Social enterprises have successfully tapped into the part of this culture that seeks to re-humanise the world. Fair trade, Cox argues, breaks down the fetishistic relation between consumer and producer. Buying Cafe Direct, for example, allows the consumer to feel satisfaction knowing the premium paid will provide a living wage for the farmers. If you like, it is consumerism without reification. Capital has responded to this cultural shift too with the emergence of large ethical investment funds. There is generally a lower return than traditional funds but profit is not the primary concern of investors - it is secondary to whatever social development goals this capital is put to. Then there is technology. The development of the internet has made the discovery of commodity "biographies" much easier, and this combined with high profile exposures by the likes of Naomi Klein have driven the adoption of corporate responsibility. But this is not all. The medium has provided a new arena for social enterprise in the form of open source software, and it is slowly but surely expanding its influence. For example, as of January 2009 70 per cent of internet browsing used Microsoft's Internet Explorer as compared 21 per cent share for Firefox. But the year before the figures stood at 77 and 16 per cent respectively. If the trends continue at the present rate within four years Microsoft will lose its market dominance to a rival that is free, commonly owned and collectively produced. Lastly, the general business culture particular to the sector could attract more capital to fuel further social enterprise growth. In the space of 18 months the global economy has gone from a historical high point for capital to a grim future of market failure and recession. It is reasonable for elites to wonder if the crisis partly derives from the fundamentalist conceit of traditional business models. Commercial and political elites, as well as a new generation of entrepreneurs that once embraced neoliberalism may now be asking themselves if that really was the best way to do business. Cox then re-visited Cafe Direct as an example of a particularly successful social enterprise. The basic business model is premised on two principles: it pays growers a guaranteed price; and provides a secure market for their crops. Because of its success not only has Cafe Direct outperformed other developmental charities but crucially for the market fundamentalists, it has proven more efficient than the for-profit operations of bloated multinationals. For Cox it demonstrates that "doing the right thing is good for business". This is all the more remarkable when you consider social enterprises begin trading with higher start-up costs. Another of Cox's favourite firms is Cardiff's Pack-IT Group. Originally starting out as a project spun out of the city's social services department to provide jobs for disabled service users, over 20 years it has expanded into a successful packing and warehousing operation. It has given employment to a group of people for whom finding work would otherwise be difficult. But that's not all - its workers each receive a living wage and the firm is able to post healthy profits, ticking the social and the enterprise boxes. For Cox the secret of its success lies in the labour process, which is diametrically opposite to the received wisdom of one-size-fits-all. Instead Pack-IT works intensively with each employee to mould its operation around them. This enabling culture breaks with the police state-like conditions typical of many workplaces and makes it more productive than its commercial rivals. Is social enterprise the answer then? Should socialists wind up our organisations, stop faffing about in the labour movement and sink the old fighting fund into businesses instead? No. Socialism is more democratic, participatory and planned than capitalism can hope to be. It is also a society that can only come through the activity of a global working class conscious of its independent interests and objectives. Anything short of this - be they Keynesian welfarism of the West or the bureaucratic planning of the East, or business with social as opposed to commercial bottom lines - cannot be socialism. Social enterprises are problematic from this standpoint. Yes, accepting Cox's examples at face value, it is laudable and welcome that good work has been done and lives have been transformed for the better. But in this regard it is akin to guerilla Fabianism. The crucial difference between social objectives performed through commercial activity and reforms won by workers through old-fashioned struggle is that our class grows in confidence and experience, and enters the next round of confrontations a more powerful collective. Social enterprise does not differ from Fabian programmes of reform - both bypass the workers and do not directly strengthen its power. (This of course does not rule out the possibility such outcomes could provide a more favourable context for class struggle). Like all firms, social enterprises have to operate in a market and as such are dependent on its vagaries. Cafe Direct, for example, is now facing stiffer competition from the multinationals as they introduce their own fair trade-type brands. Couple this with the economic crisis and its knock-on effect - declining purchasing power of workers and middling layers, the social objective is in trouble. The relationship this kind of ethical consumption has established is a commodified and stilted imitation of the associated production we can expect in a socialist society. Instead we have a dependency-charity relation, one in which third world farmers are forced to rely on the kindness of strangers. Then there is welfarism. I suspect Brown and Cameron are keen on social enterprises because they can theoretically achieve welfare outcomes. For the Tories especially, the success of social enterprise in this sector reconfirms their commitment to private welfare provision. It presents an opportunity to ideologically undermine the idea society has a collective responsibility to its citizens in times of need - and of course it bolsters the 'small state' arguments, which are sure to make a comeback when the crisis and the Keynesian moment has passed. But for all the establishment arguments around welfare dependency, having social enterprises, not the state, delivering services does not fundamentally alter the passive relationship the client has with service provider. And lastly, how about the issue of power? Cox made clear the unifying principle of social enterprise is putting the social before the commercial, but a myriad of organisational forms and models can realise these objectives. There's nothing essential about the sector that would exclude charities, "political" business, co-ops, private concerns, etc. But part of the problem is, essentially, deciding for the lower orders what is best for them. But socialists need not be churlish about social enterprise. There are ways it can assist our political project beyond licking the left's collection of presses, publishers and bookshops with a trendy gloss. Simply put it could help create a more favourable ideological climate for socialist ideas, and this is how. Because social enterprise legitimates the subordination of the economic to social needs, the more they grow, the more government policy favours them, the more they provide us with fuel for the socialist fire. If a social enterprise can be commercially viable and meet its goals, why can't the same be expected of other businesses? If a social enterprise can pay its staff a living wage, why can't other businesses? If an enterprise achieves its outcomes on the basis of common ownership and cooperative, collective production, why not others? And so on. I may have a less rosy view of social enterprise than Cox, but despite the crisis, I am in fundamental agreement with him that the sector is likely to weather the tempest and emerge out the other side. Social enterprises are something socialists are going to have to get used to and deal with seriously. We can be wary of the dangers they represent but we must not allow our criticisms blind us to the opportunities that may arise. Iain Dale's repeated claims that the right command a lead in UK political blogging may have been overplayed, but there is a grain of truth to them. The left - here defined in Iain's terms as Brownite-Blairites, LibDems, Old Labour types, as well as the Trots and the (few) Tankies of the far left - have not produced "star" bloggers. Regards media profile and audience he and Guido are racing ahead of the pack. But are things about to change? The successful blogging alliance of hard leftists, mainstream social democrats and LibDems represented by Liberal Conspiracy shows there is a substantial audience for left-liberal commentary. According to the Wikio ranking list of influential UK blogs, LibCon (an unfortunate contraction if there ever was one) now lies third behind the big two. Who knows if it will depose Dale or Guido in the near future? Sniffing an opening in the blogging ecology, Labour are now trying to build an audience with two official high-profile efforts. Who'd have thunk John Prescott would spearhead one of them? Politics really is a funny old game. On the 'Go 4th' site, "Prezza" is re-invented as an unvuncular character with his finger on the pulse of the nation's yoof. He's on "the facebook" and Youtube. He has a populist petition against obscene bonuses at RBS. And it can only be a matter of time before he's on Twitter. Prescott's site is a political blog with a very small p. Interactivity is very managed. You cannot, for instance, leave a comment (presumably to prevent it becoming a target for Tory trolls), but it offers every opportunity to connect with the former deputy prime minister. Donning the old Gramscian spectacles, it quickly becomes apparent that this is a brand recognition scheme. One moment you're signing his petition, laughing at his Youtube antics, messaging him to say "coconuts" in a TV interview, regarding him as a bit of a "legend" and before you know it, you're voting Labour at the next round of elections. Very clever. Labour's second effort is a determined attempt to officially intervene in political blogging. Labour List, the all new singing and dancing brain child of Derek Draper looks as though it means business. At first glance the list of contributors look impressive. Government ministers and MPs rub shoulders with stalwart bloggers - and not all of them are on-message pod people. Labour List was officially launched today at a "bloggers' breakfast". How New Labour-ish. Already it has made a bit of a splash in political blogging, though, in my humble opinion, for all the wrong reasons. Draper has already taken Iain Dale on re: the Carol Thatcher furore, and has moved with unseemly haste to attack Guido (today, Draper celebrated the launch of Labour List by threatening to sue him). Whatever the merits of the criticisms, both attacks read like cynical attempts to stir the blogging pot and attract an audience. But in a way, you cannot blame Draper for trying to draw interest with this method. It is still early days, but the material published so far is pretty dull fare. Seriously, who wants to read vacuous New Labour speak defending the part-privatisation of the post office? Or government spin on the latest jobless figures? Yes, the aspiring careerists and wannabes of Labour Students might get excited by this guff, but blog audiences demand much, much more. Unless Labour List ups its game an inglorious and ignominious future lies ahead. What Labour - and for that matter all the parties - don't get is political blogging's popularity partly lies in their seeming distance from the party machines. Party controlled white elephants do not work because all they tend to do is spin the output of their websites. The political game they play does not allow space for self-criticism and acknowledgement of things gone wrong. If parties were wise they would cease trying to control things and leave their blogging supporters to make the case for them. They after all know how political blogging works much better than any central office wonk. The dramatic and shocking scenes of the Australian bushfires could not fail to have moved anyone watching them on the news. This piece from Anthony Main of the CWI's Australian section, the Socialist Party looks at the politics behind the disaster. The death toll from Victoria's bushfires, in south eastern Australia, currently stands at 170 and could rise – this is Australia’s worst natural disaster, much worse than the Ash Wednesday fires in 1983 when 47 people died. The dead include retired Channel 9 newsreader Brian Naylor and his wife. Dozens more people are suffering from serious burns and smoke inhalation. On top of the tragic deaths and injuries, more than 750 homes have been destroyed and at least 330,000 hectares of land has been burnt. Residents have compared the scenes to the aftermath of a nuclear war. The bushfire disaster has shown some of the best examples of human solidarity coupled with some of the worst examples of the failure of a profit driven system. Heroic stories of ordinary people saving the lives of strangers are just starting to emerge. One off duty nurse has told of having to administer first aid to burns victims in a makeshift shelter because help failed to arrive. Temperatures across eastern Australia soared into the high 40’s (degrees celsius) over the weekend. The heat was unbearable in the urban centres but it was like hell on earth in rural areas where one resident described it as “raining flames”. At one stage more than 400 fires were blazing in every part of Victoria and almost 60 fires were also burning across New South Wales. The drought of recent years, and higher temperatures due to climate change, has led to a marked increase in the amount of bush fires. Victoria has recorded its lowest rainfall levels on record which has meant that bush undergrowth is bone dry. While there is no doubt that the drought has contributed to the bushfires, it is also true that much of the devastation could have been prevented. The State and Federal governments have attempted to lay the blame for the fires on arsonists. While a few of the fires may well have been started by ‘fire bugs’ the vast majority were a result of the extreme conditions. The question is did the State and Federal governments do everything in their power to mitigate the worst effects of the fires? For years rural communities like those in Gippsland, Kinglake and Bendigo have been hit hard by cuts to services. It has not just been cuts to health, education and transport but fire fighting and emergency services budgets have also been slashed. There is a severe shortage of doctors, nurses and emergency services staff in rural areas and this cost people their lives in a time of crisis. At a national level government spending on bushfire research is less than $2 million a year. In Victoria the Labor State government only allocates a measly $252 million a year for rural fire prevention. For a country covered with bush and prone to extreme weather this is totally inadequate. While the work of these volunteers is nothing short of amazing, the idea that less than 2% of those who fight fires in Victoria are full time professionals is a sick joke. There needs to be a massive expansion of full time professional fire fighting staff. These skilled workers need to be paid decent wages to reflect the important work that they do. Those who do the job on a part time or casual basis should also be paid proper wages. Many of the lives, homes and natural environment that have been lost could have been saved if proper resources were made available. Blaming arsonists is just a diversionary tactic by the government. The main reason that money is not made available is because, at the moment, decisions are being made on the basis of dollars and not sense. A system based on the short term, and geared to profit, is incapable of mitigating the worst effects of bush fires. In fact capitalism has made this disaster far worse than it needed to be. That is why if we really want to reduce the risk of death and destruction from natural disaster, it is urgent we fight to put an end to the profit driven system of capitalism. We need a system based on human solidarity, co-operation and democracy, the types of qualities that working people have instinctively shown during this disaster. But for sheer size, few lists come bigger than this mutha. The publishing industry midwifed the first top 100 books ever-type lists into the world to mark the turn of the millennium. Not to be outdone, the BBC in their worthy (and actually, very worthwhile) book campaign, the Big Read compiled another top 100 of best-loved books on the back of a mammoth poll. It was shamelessly populist too - Harry Potter was listed five times and the likes of Terry Pratchett, Jean M Auel and Rosamund Pilcher all made the grade. It was enough to put a literary snob's nose out of joint. They hit back in 05 and 06 with two editions of the gargantuan 1,001 Books You Must Read Before You Die. Despite the odd dodgy entry and omission in this new canon (Ardal O'Hanlon anyone?) it is a book bore's dream. All titles were selected by "experts", and presumably were judged solely by literary value. Three years on it's now The Graun's turn. Their 1,000 Novels Everyone Must Read strikes a balance between populism and snobbery. Graun hacks had a lunch time brainstorm and came up with a list that was trimmed by literary authorities, leaving a huge catalogue of books that ticks the high and popular culture boxes. Here is that list, alphabetised according to author. Because it is so massive I won't be tagging anyone, so meme it at your own risk! To show off my accumulation of literary capital (or, rather, the lack thereof) the books I've read are put in bold, and those that grace the shelves of the BC household are in italics. For me it's 288 read and 244 gathering dust on our bookcases. What's your tally?